For many centuries, if you wanted to light up your home with bright and cheery Christmas lights, you had one choice - fire. Lamps and candles were just about the only options available, with candles serving as the go-to source of decorative Christmas lighting for most people. Candles did a respectable job of providing holiday lighting, and were a popular choice for adding an elegant glow to indoor Christmas trees. But there was a definite drawback to using candles: tinder-dry Christmas tree foliage and sputtering candles formed an all-too-often lethal combo. Many happy holiday celebrations quickly morphed into a mournful dirge as a result of flash fires sparked by Christmas candles. 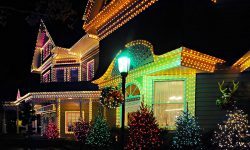 Home holiday lighting options improved considerably around the turn of the twentieth century, when electric incandescent lights became commonly available. Incandescent Christmas lights were vastly safer than candles, and they were easier and more convenient to use. 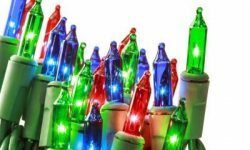 It wasn't long before the benefits of electric lights made them the top choice for Christmas lighting among the vast majority of consumers. Incandescent Christmas lights reigned as the standard for most of a century. But then a newer form of technology began to supersede incandescent lighting. The benefits offered by the new technology rendered incandescent lights almost as obsolete as candles. And in recent years, consumers have been making the switch to the new technology en masse, just as they gladly abandoned candles for incandescents a century ago. That new technology is known as LED lighting. If you make a straight-up comparison between the purchase price of incandescent lights vs. LEDs, the LEDs will appear to be more expensive. But that's a deceptive comparison, because long-term, LEDs will cost you considerably less than comparable incandescents. And along the way, LED lights will also offer you some nice ancillary benefits. Incandescent bulbs generate light by 'burning' a filament with electricity. It's an inefficient means of generating light, particularly when compared to LED technology. LEDs create light by exciting the electrons in a semiconductor device known as a diode. The difference in energy usage between the two forms of technology is quite dramatic: LEDs on average use up to 90% less electricity. 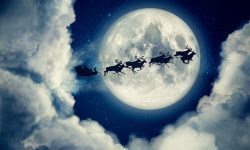 If you want to go green for Christmas, LEDs are the best way to get there. 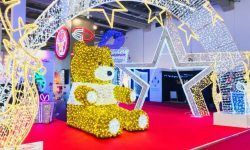 And apart from lending Mother Nature a helping hand and reducing your electric bill considerably, you'll benefit in another way from your LED light display's low appetite for electricity. 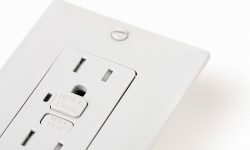 The reduced energy usage means that you'll be able to have longer light strings, relying on fewer electrical outlets and requiring fewer extension cords. That will offer you much greater flexibility in designing your Christmas light displays. Incandescent bulbs burn hot. You know that from bitter experience if you've ever touched one while it was lit! But thanks to their superior energy efficiency, LED bulbs generate very little heat. No need to worry about children or pets being burned by scorching hot bulbs. Incandescent bulbs burn out with great frequency. It's because of the way an incandescent bulb works: a filament that 'burns' with electricity to create light. But LED bulbs have much longer lifespans than incandescents. You can expect to get 25,000 to 75,000 hours of service from an LED bulb. In the lifespan of a single LED bulb you'd likely go through dozens of incandescent bulbs. Conversely, LED lights produce true colors, because the diodes of each bulb generate light of a certain wavelength - the wavelength of the desired color. So a green LED bulb emits true green light, not white light that has essentially been dyed green. Does it really matter? Do a side-by-side comparison, and you'll see that the depth and richness of colors produced by LEDs are far superior to the 'false' colors produced by incandescents. Some LED lights are manufactured quick and cheap, and some are manufactured with great quality. That's the way it is for most products - some manufacturers are more concerned with quality, and others are more concerned with cost. Because of that - as the old saying goes - you get what you pay for when it comes to purchasing LED lights. If you pay cheap you'll get cheap. And as with most products, buying cheap may save you a bit in the near term, but will likely cost you more over time. If you want to be certain that you're buying quality LED Christmas lights, steer clear of the big box retail stores. LEDs sold in those stores are almost always built cheap, bought cheap and sold cheap. And the quality is usually quite questionable. Instead, buy your lights from a niche retailer that focuses on Christmas lights and decorations. A niche retailer will have in-depth industry knowledge, and will be very aware of the manufacturers that offer top-quality products. They'll know about the manufacturers that should be avoided, too. And since the smaller retailer's reputation hinges upon the quality of products that they sell within their narrow niche of expertise, they're likely to avoid the cheap and low-quality merchandise that the mega-retailers are selling. And here's a tip: Find a business that provides professional installations of Christmas light displays, and buy the same products that they utilize in their installations. Professionals tend to use the best products available, because they know that they'll come out ahead in the long run. So if you buy the same products that they are using, you'll be getting the same long-term benefits. LED lights are relatively new technology. 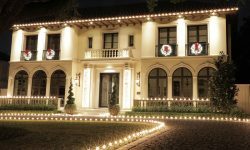 But although LED Christmas lights haven't been around all that long, they are rapidly supplanting incandescent lights as the go-to standard for Christmas lighting. Some of the world's most famous Christmas icons are now lit with LED lights. The Rockefeller Center tree in New York City, for example, and the Capitol Christmas tree in Washington D.C. Cities large and small worldwide have converted to LED lights for their annual Christmas displays. Our own installation department is now installing nearly every job with LED lights. From single family homes to entire cities, 95% of our installation customers are now LED. If you haven't made the switch yet, this Christmas season would be the perfect time.